Just how many stamps did USPS issue at WSS-NY 2016? World Stamp Show-NY 2016 had plenty of everything for the stamp collector, and that included first-day ceremonies sponsored by the United States Postal Service.U.S. 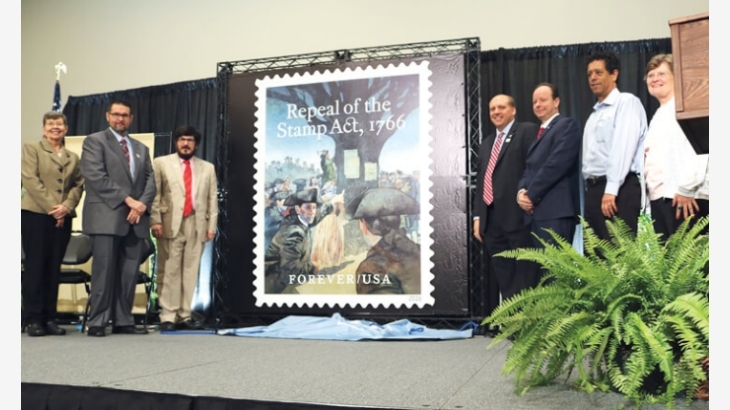 stamp ceremonies were held each of the first seven days of the eight-day international stamp show, which ran May 28-June 4 at the Javits Center in New York City. All of the stamps issued except one came in sets of multiples, resulting in 49 U.S. stamps being issued in the course of one week.